Much like the sweet music of a gorgeous baby grand, moving can evoke both happy and sad moments. Moving to a new home ushers in a world of new possibilities, from new promising new careers to the possibility of new friendships. But it also means leaving an old home, with treasured memories and close friends, behind. Thankfully for music lovers, moving no longer necessitates saying goodbye to your favorite piano. But if you’re not careful, moving one of your most prized possessions can be incredibly costly and overwhelmingly stressful. Even before you add a piano into the mix, the simplest piano move can be stress-inducing and physically exhausting. Piano moving makes a simple move look like child’s play. To ensure your prized possession reaches its new destination safely and securely, the #1 thing to avoid is a DIY move. Moving a piano to another room or a new home without skilled movers comes with tremendous risk. If you’re trying to cut costs by eliminating professional piano movers, consider this. Moving a piano incorrectly without the correct techniques and equipment can cause costly damage to walls, floors and staircases, not to mention the piano itself. Further, back and knee injuries sustained during a move can be devastating. Hiring a professional piano moving company like All Jersey Moving & Storage to move your piano is critical to ensuring a successful, cost-effective move. It’s important to remember that just because a moving company is well rated doesn’t mean it is experienced with piano moving. Professional piano movers have the specialized skills and tools necessary to safely move your piano without damaging it or your home. It’s important to remember that just because a moving company is well rated doesn’t mean it is experienced with piano moving. Search for a moving company with expertise in moving pianos and other large, delicate antiques. A thorough search should include requesting quotes and getting honest consumer feedback from others who have personally used the movers you are considering for your upcoming piano move. General internet searches can be revealing. Don’t be blinded by cheap moving quotes. When it comes to moving – especially piano moving – you get what you pay for. 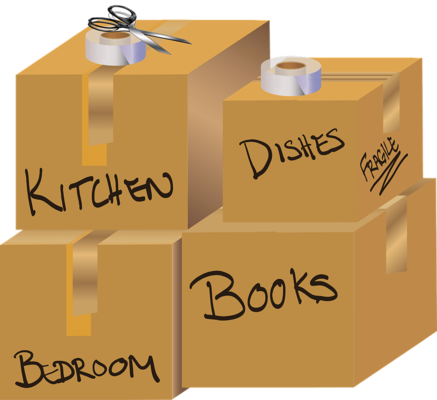 You don’t want cheap, inexperienced movers to cut corners and put your home or instrument at risk. Now that you’ve secured a professional moving company with piano moving expertise to execute your move, what can you do to prep for moving day? The first and arguably most critical action step you can take is to get insurance coverage on your piano. This coverage is in addition to the coverage on the rest of the items being moved. The reason for this is that pianos are generally high in value. Knowing that your instrument is covered will give you peace of mind that in the event that damage is sustained, your asset will be protected. It’s worthwhile to ask your moving company if they offer any liability coverage. Find out exactly how much coverage they offer, bearing in mind that basic coverage will likely not cover the expense of repairing or replacing a high end piano. Use special padding to cover the piano legs. Professional piano movers are trained to move pianos carefully to protect legs from breaking or cracking. Applying plastic or tape directly to the piano’s surfaces to keep padding in place can damage its finish. To ensure your sheet music and other removable pieces aren’t lost or damaged in transit, pack them separately and clearly label the container. Consider getting your piano tuned once you’re settled in your new home. It’s recommended to wait a couple of weeks to give your piano time to adjust to its new environment. Moving your piano can be stressful, but with professional piano movers like All Jersey Moving & Storage it doesn’t have to be. In addition to traditional short and long distance residential and commercial moves, we have decades of experience safely transporting valuable pianos, art and antiques.